This is one that I’ve tried to buy several times over the last couple of years and I was finally able to snag one at a great price! 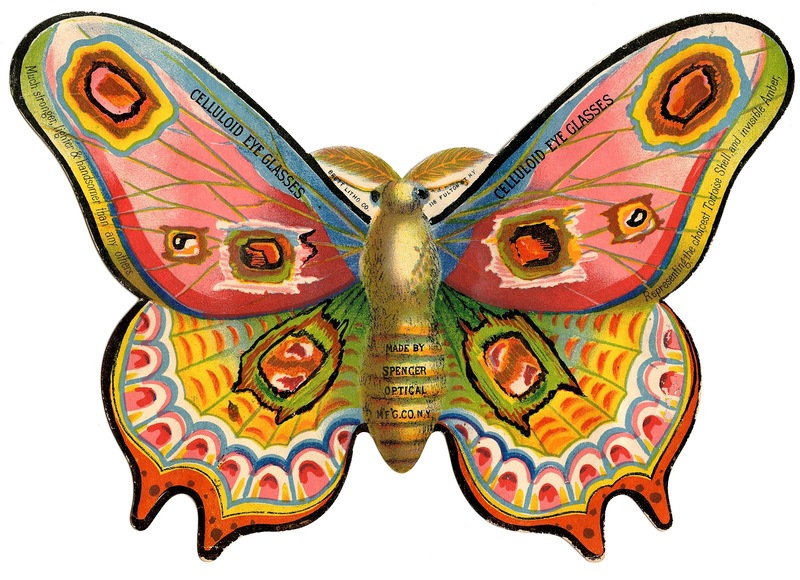 Shown here is an amazing piece of Victorian Advertising using a Colorful Moth Scrap! The ad is for Celluloid Eye Glass Frames and the back is charming as well, so I’ve included it. Fun for your Handmade Projects! Vintage Painting Trade Sign Image! Vintage Graphics – Butterflies and Caterpillar Vintage Basket Girl Image – Spring! Love the celluloid eye glass moth! Oh my goodness Karen! That is absolutely gorgeous! I didn’t even know such Victorian images existed. You said you ‘bought’ it. Did it come as a cut-out already? Or is it part of a whole page? I’m so interested to find out more. It came all cut out, it’s made of light weight cardboard. They call these “Scraps” or “Die Cuts”. Advertisers would hand them out and ladies and young girls would paste them into their scrapbooks. A pretty effective advertising technique I would say! Thanks for that info Karen. What a great idea for the time! WOW!!! This is stunning! Thank you so much for sharing! This colourful moth really caught my eye! Thank you Karen. Did you read the writing on the back image? Do yourself a favour and read it if you didn’t – so funny! 25 pairs weigh 1 ounce- one wonders why they couldn’t say how much 1 pair weighs? They are ‘suited to all eyes… near together or far apart” and “popular with the ladies” Love it! Wow! This really caught my eye! Thanks for sharing. SOOO beautiful. Thank you for sharing these!!! I’ve never seen anything like these moths….I’m so glad you find things like this and share them….it’s wonderful, Karen! Thank you so much…..
Do you have numbers for the Rustic Lettering? I’d like to paint my house numbers in that font! Love the shape of this one and I am going to use it. Thank you so much for all you share. Thank you everyone, I’m so glad you liked it! I love these…they’re so different and pretty…thank you! OMG!!!!! The colors in this one are to die for!!!!!!!! Thank you very much, this is amazing, great size and quality too, I really appreciate your generousity. I also admire your passion for vintage items that drives you to “hunt” for things that you like. These are sure popular and got lots of attention. Can see why, they’re wonderful. I’m going to use them somehow. I printed out the one with ad mostly on it as I still had enough ink left but had to save the colored one, both are incredible Karen. Thanks so much for sharing them. 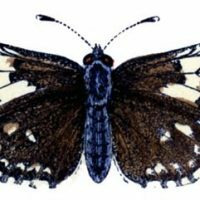 Thanks to your blog I’ve been able to see so many things from when I was a kid (I was born July/1940). Remember many things, even celluloid. Seeing all the images you share brings up many memories. I just have to say that I absolutely love this vintage pictures heaven that you have made! 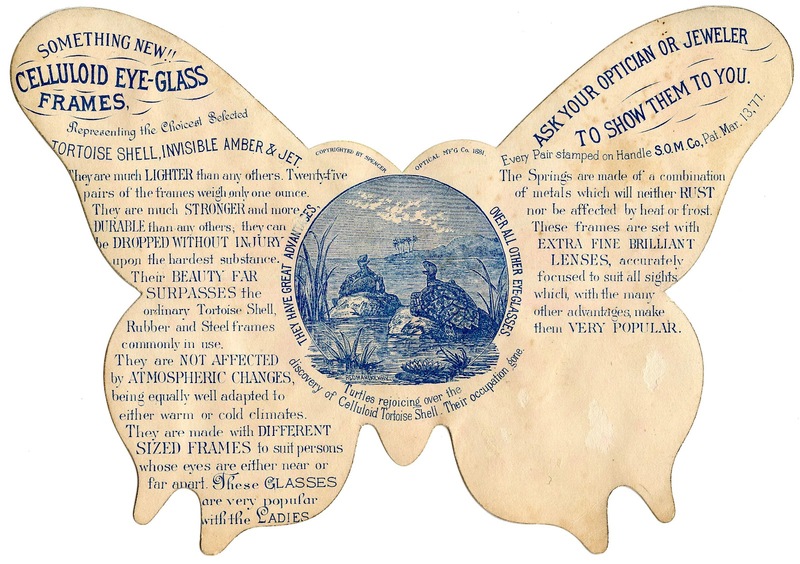 Oh I adore butterflies, who doesn’t right and this Celluloid Eye Glass Frames ad is just simply the greatest ever! !